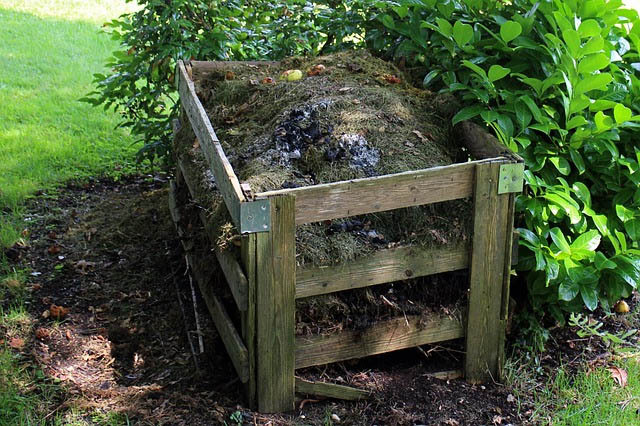 Composting has been around long before any modern forms of farming and gardening. Creating a good compost remains one of the most beneficial ways to create and improve soil health for whatever you are growing. Even though compost is essentially just decomposed matter, there are still ways to produce a better yielding and nutrient-rich mix for your garden! Let’s discuss some important steps to take to make sure your organic waste is providing maximum benefits to your garden or crop. Organic matter that can break down fast is good to include in your bin. This could include vegetable peelings, fruit waste, plant clippings, grass cuttings, and even tea bags. The fast breakdown of these types of materials also provide abundant and important nitrogen. Along with fast composting items, you should include slower rotting items like cardboard egg containers, fallen leaves, and old paper. There materials will provide vital fiber and carbon while also allowing air pockets to form. You should avoid adding synthetics like plastics or metals into your compost as they do not rot naturally in a short period of time. Unless you are opting to get a digester, no meats or dairy products should enter a compost pile. These along with things like babies diapers, or pet waste, can introduce unwanted pests and foul smells into your compost. You should also avoid introducing any perennial weeds (like dandelions) or weeds with seed heads. These will find their ways back to life in your garden. If you don’t need a large composting heap, you should invest in a composting container or bin. These are compact and perfect for smaller personal gardens. Teraganix offers our Bokashi Bucket Food Fermenter Kit that can speed up all your food recycling to only 6 weeks! This proven method is a great way to quickly deliver home-made nutrients to your garden. A good area for a your compost is somewhere dry and that drains easily. This will make sure that no excess moisture is introduced. This will speed up the food recycling process and may also encourage worms to get in the compost and start aiding in the breakdown efforts. Composting is a very low-maintenance task, but with that said it is important to regularly introduce new organic matter tot he pile, as well as aerate the matter by mixing or turning it over. This can be done with a pitchfork for larger piles, or a compost aerator from something smaller. However you compile your compost, know that you are already taking the correct steps in creating a healthier soil for your vegetation! With any beginning will come mistakes and errors. It is important to note these so on the next batch of compost you can turn out an even better mixture.